A proper planning in advance should be done for successful running of Business Empire. 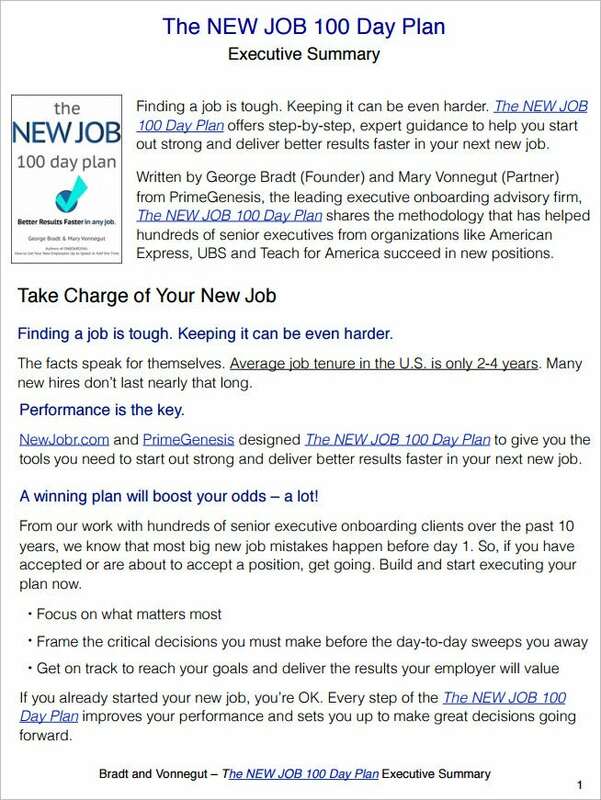 Hence, these 100 day plan templates are designed for keeping a checklist of works that is to be done by many companies or start-ups. This results in accuracy and well-organized way of doing things in a company. Made for the beneficial of the company, these templates ensure a well organized way of dealing with things in a company. You can also see Business Continuity Plan Templates. A 100 day plan is made according to the company or the project’s necessity. 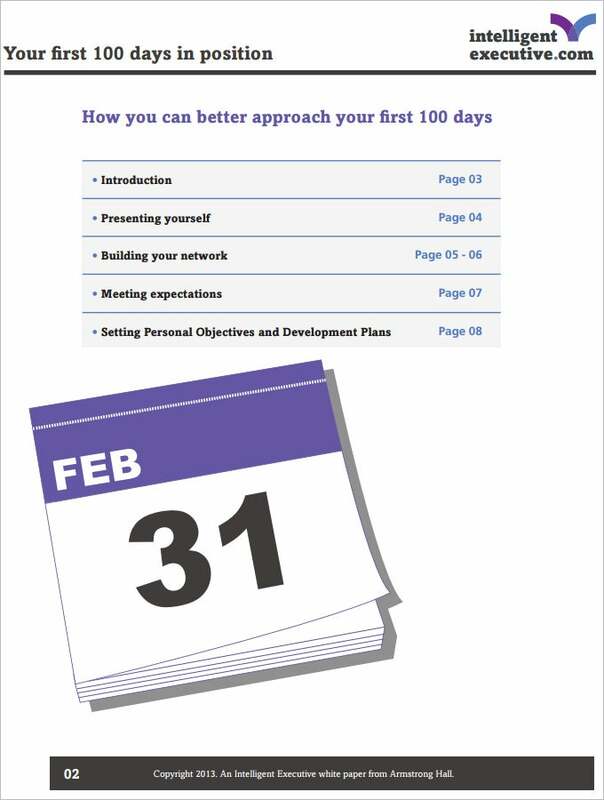 Before you download one of the sample 100 day plan templates that we have got for free, you should know what a plan such as that is usually made up of. 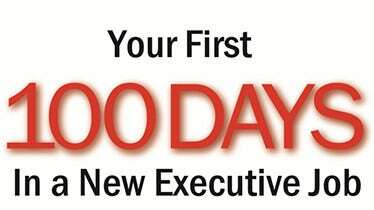 Here are all the components of a 100 day plan listed out. A project or a work to be done is broken into parts for completion within a 100 days. A plan is then chalked out. 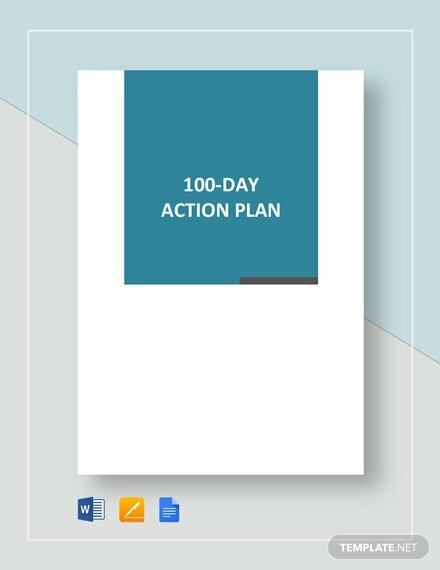 These 100 day plan template are designed by experts which analyses the present scenario of the market condition and instructs the clients about the action plan that need to be done by them. This helps in making a rough schedule of all the things that they need to work out for successfully running of business. These templates are designed to provide a generalized and brief overview of all the things that need to be done. Mostly suited to demonstrate the works done by a government, these templates helps in making the government bodies aware of the local issues, thus help them in better functioning. 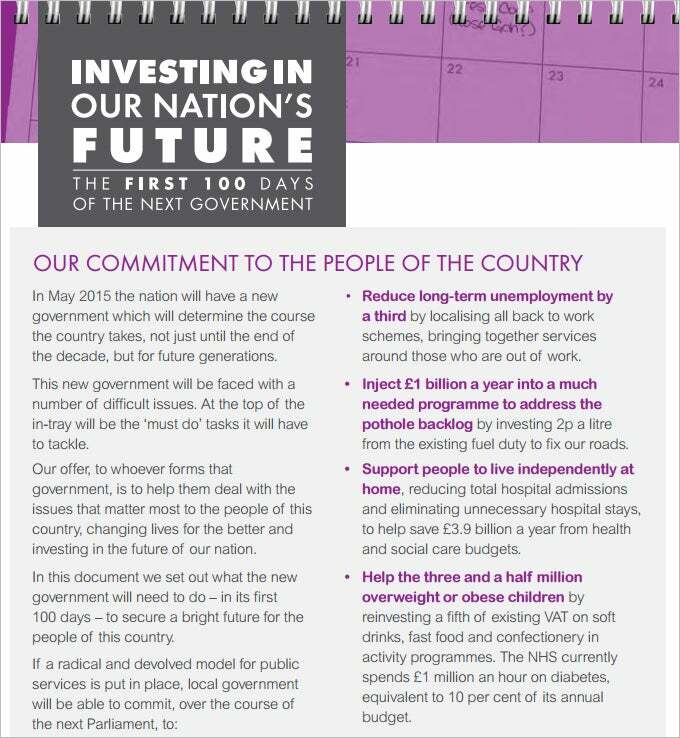 What Is 100 Day Plan Template? These are action plans that are designed by professionals that help in deciding the works that needs to be done in the upcoming days. It provides a systematic outline of all the details of the work thus providing assistance in implementing them. Further these plans also consists of details about the reviews, current status and feedback which helps in making adequate change in these plans and thus allows effective functioning of the companies. Also suitable for teaching process, these templates are beneficial for a routine lesson plan thus helping the teacher in a successful teaching process. How to Create/Make 100 Day Plan Template? Provide details about the pros and cons of such action plans. Workout on the reviews and feedbacks received from implementing such plans. Designed by experts, these templates serve a great deal in helping several organizations or companies in successfully running of the business empire. These plans provide a rough sketch/overview of all the necessary details of works that are to be done by the company in the upcoming period, thus resulting in overall growth of the companies. These templates are been designed and crafted by many organizations to plan a detailed sketched of all the action plans that need to be done for effective functioning. Thus creating such action plans provides all the required information about the works to be implemented in the upcoming period.